Do I have to be poor to qualify for Medicaid? In short, the answer is no. You do not have to be poor in the traditional sense, but you must qualify. To qualify you have to have no more than the law allows of what are called “countable” assets (these are assets that must be spent towards care). A legal step-by-step process can be implemented to qualify you or your loved one for Medicaid and protect your assets by maximizing on what the law and rules provide you in the way of safe places to put assets which would otherwise be countable. Can I just give it all away and qualify? The law has limited classifications of people who can receive assets from you without those gifts causing you problems when you need to apply for Medicaid. A gift or transfer of assets is called a “divestment” under Medicaid and any divestments done within the last five years create an period of ineligibility. This is known as the “look-back” period. What that means is that you can be completely broke and still not qualify for Medicaid if you transferred your assets improperly. Most people think they can legally give away a certain amount of money (i.e., $13,000/year per person) and qualify for Medicaid. That gifting limit only applies to gifts excluded from the imposition of a gift tax and the tax rules have nothing to do with the Medicaid divestment rules. Sometimes divestments are actually part of the Medicaid plan; while most of the time our team helps clean up poorly planned divestments from people who didn’t know any better. If this sounds like you, fret not. We can help you undo these divestments and get you back on the right path to eligibility. Isn’t Medicare going to pay for my long-term care expenses? Many people get rightly confused between Medicare and Medicaid. First off, they sound alike — but their focus is very different. Medicare is health insurance for people age 65 and over and some disabled persons. It does pay for some long-term care expenses for the first 100 days and only if you spent at least 3 days in a hospital prior to going to the nursing home. The focus of Medicare is rehabilitative care. 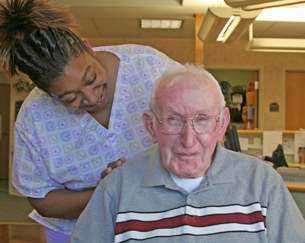 For long-term care, Medicaid is the primary pay source for nursing home care. However, unlike Medicare, you do not automatically qualify for Medicaid when you turn 65. To get qualified often requires fully depleting your assets or a re-structuring of those assets to meet the eligibility requirements. Can I apply for Medicaid on behalf of my elderly parent or spouse? Medicaid allows for someone other than the patient to apply for assistance. If you are acting for a friend or loved one as agent under a power of attorney or as guardian, you may be able to file the Medicaid application on their behalf. You may even be responsible to do so and failing to do so could be a breach of your duties or responsibilities In addition, Medicaid allows the patient to choose a patient representative who can file the Medicaid application and interact with the local Medicaid Department. Our team of Medicaid specialists can assist you with every aspect of the Medicaid process — including assistance with the often complicated application process. If we get Medicaid approved, will our loved one get substandard care? Almost every facility has a combination of patients whose care is being paid for by Medicare, long-term care insurance, private funds or Medicaid. Federal law and state law require standards of care and the quality of care is very specific to particular facilities and prohibit discrimination against the patients based upon the type of payment or assistance they are receiving. Can a nursing home choose a private pay patient over a Medicaid patient? Nursing homes can discriminate in the admissions process between Medicaid and non-Medicaid patients, but since the bulk of the patients are admitted from the hospital under Medicare’s 100-days of coverage, that is usually not an issue. It only becomes an issue when a Medicaid patient is trying to change nursing homes. Absolutely yes! But people get into a lot of trouble when they don’t know what the rules are and how to follow them. The best choice is to have a qualified, experienced Medicaid Planner to guide you through the process. The Medicaid rules even allow you to select someone of your choosing to assist you with applying for Medicaid. They understand that it’s a complicated system and everyone needs a little help once in a while. If Medicaid is approved will the cost of care be completely free? Usually, no. Even after a patient (and his or her spouse) become “asset eligible” for Medicaid, the Medicaid rules have a formula which helps determine how much of the patient’s income. Some states even require the patient’s spouse to contribute a portion of their income; but if the patient’s income is higher than the healthy spouse’s income, the healthy spouse may be able to keep a portion of both spouses income. There are techniques to help keep the monthly cost to the very minimum and to make sure the community spouse is well provided for. 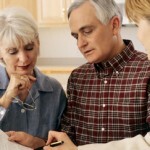 What is a Medicaid compliant annuity? Over the years, the rules have allowed a person to turn a liquid asset into an income stream by putting it in a commercial annuity. The purchase of the annuity is unique in that it takes an asset which is countable and “spends” it on the annuity, which has no countable value and produces an income stream. The income stream may factor into the patient’s co-pay or be paid to a community spouse. In order for the purchase of the annuity to not trigger a divestment penalty the annuity must certain characteristics. Medicaid compliant annuities are not used in every Medicaid planning case, but they can be very helpful and useful for a great number of people wanting to convert and protect excess resources. Our planning team has available some of the best Medicaid annuity products available and the experience to know how and when to use and structure them. Do I need to wait until someone is in a nursing home to do Medicaid planning? Pre-Planning: This is where the person is uninsured for long-term care expenses and is beyond the point of either getting (due to poor health) or affording the long-term care insurance. These people don’t need nursing home care right now, but they realize they would be financially devastated. By choosing to pre-plan, they can take advantage of the maximum amount of planning options available. Crisis Planning: This stage is where the person is in the hospital or assisted living facility and is in the process of transitioning to the nursing home. While Medicare may be able to help buy some time to complete a plan, the patient is on the way towards a private-pay scenario that will drain most or all available resources. Typically, the longer someone waits to plan, the fewer choices they have. 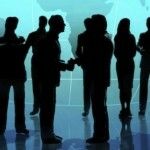 Our team can help you at any stage of the process. We’ve been able to help people divest and wait out the look-back period and have been able to help people who have been in the nursing home for years and have spent a good sum already or their long-term care insurance ran out. Whatever your situation, we have solutions to help you. Call us or email us to see how we can help you protect your assets from the Medicaid spend down.